Whistler, BC. 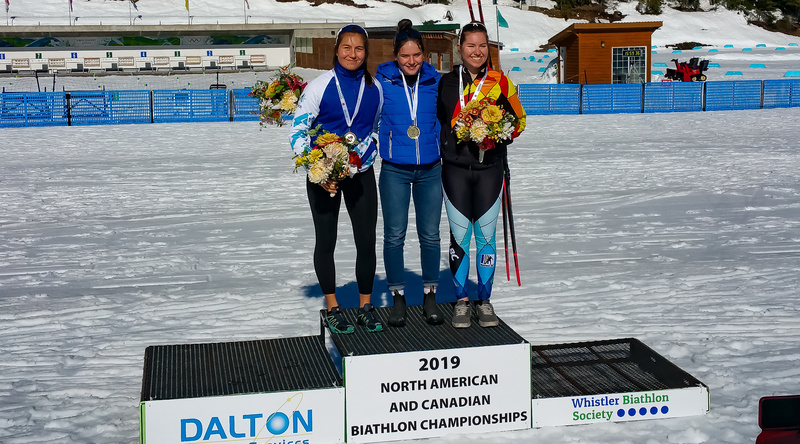 It was a quite a way to burst onto the National racing scene for CBR’s own Danika Burke as she stormed out of the gate and straight to the podium in her first race of her first ever Canadian National Championship as a first-time member of Team Alberta. Danika won a Silver medal in the 6 km Sprint race in the Senior Girls category. Danika is originally from Forth Smith, from Northwest Territories, and has been training with CBR’s Senior HP group for two seasons. She does have multiple podium finishes on the Alberta’s provincial Calforex Cup circuit as well as a gold medal winning performance this season.